MOTO|Secure - Redefines Contact Centre Security, by Eliminating the Risk of Fraud associated with Transactions in the CNP environment. MOTO|Secure is a leading CNP Technology Payment Vendor, delivering innovative solutions to address the risk associated with Mail Order / Telephone Order Transactions. Our Experienced Team has a deep understanding of the issues arising from Friendly Fraud (namely Chargebacks) in both the ECOMM and the MOTO environments, and continue to develop the MOTO|Secure Technology to integrate seamlessly with the worlds leading Payment Gateways. A full list of Industry Standard and Bespoke Gateways are listed on the company website, which include - Authorize.net, NMI, Worldpay, Global Payments, Cardstream, Paypal, Sage Pay, etc. MOTO|Secure enables the Consumer to securely input their details via SMS and/or Email Alert directly from the Merchant Contact Centre, without disclosing sensitive card information to the contact centre agent, thus providing a PCI DSS compliant solution which includes 3DSecure, resulting in a Significant Reduction in Abandonment Rate, and Reduced Bank Charges due to the now renewed secure nature of the Merchant Transaction. 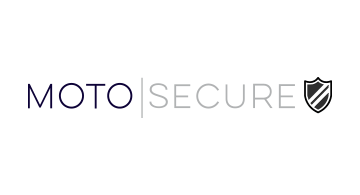 As a direct result of the above, MOTO|Secure is proud to present a Tier 1 Solution for Authentication in the MOTO Environment, which works to Protect the Merchants Bottom Line.